Minister of Health, the Hon. 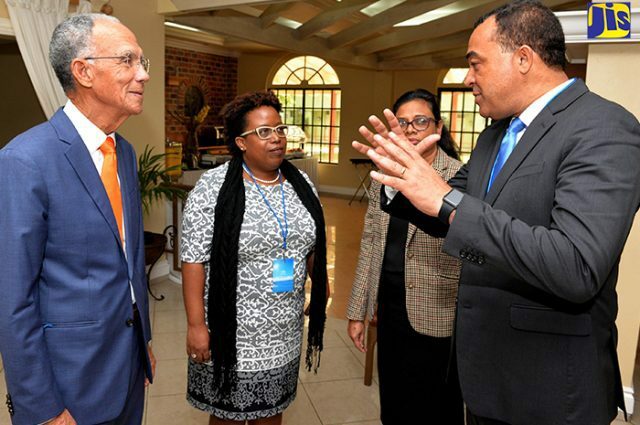 Dr. Christopher Tufton, is encouraging other Caribbean countries to join forces and replicate the ‘Jamaica Moves’ campaign into ‘Caribbean Moves’, with the objective of reducing the region’s growing rate of persons living with non-communicable diseases (NCDs). Jamaica Moves is part of the National Strategy and Action Plan for the Prevention and Control of NCDs, which covers seven main categories of diseases – cardiovascular conditions, cancers, chronic respiratory diseases, diabetes, sickle cell, mental health disorders and chronic renal failure. The campaign also focuses on community-level interventions to facilitate increased physical activity among the population. Speaking at the Healthy Caribbean Coalition’s (HCC) Caribbean NCD Forum held at The Knutsford Court Hotel in New Kingston on Monday (April 23), Dr. Tufton said the Ministry of Health has seen positive results and increased participation among Jamaicans in healthy lifestyle activities since the launch of Jamaica Moves one year ago.